Today Amazon offers a great deals: heart-racing series of thrillers follows a small community in the Utah desert that fiercely protects its own–even when it comes to murder. 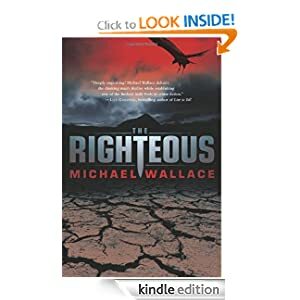 Title of the series is Righteous written by Michael Wallace. Amazon ask only $0.99 per each of 3 books. For years Jacob Christianson struggled to reconcile his faith with his skepticism about the polygamous practices of his religious community. That doubt, combined with a sharp analytical mind, enabled him to solve the ritualistic murder of his cousin at the hands of bloodthirsty fundamentalists within their own church. Now, those experiences have captured the attention of the FBI, who come to Jacob with an unusual request: infiltrate a millennialist cult and extract the undercover agent who has fallen off the radar. Jacob reluctantly agrees, but it doesn’t take long to realize that his mission will be easier said than done. Impatient and unwilling to heed Jacob’s warnings, the FBI closes in, forcing a power play with the dangerous cultists—with Jacob and his family caught squarely in the middle. 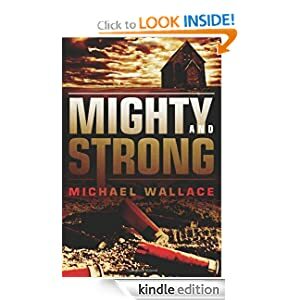 Tense and engaging, Mighty and Strong offers “an in-depth ride into a world few have entered,” a page-turning foray into the realm of religious extremists and the lengths to which they will go to defend their beliefs. Growing up in a conservative polygamous community, Eliza Christianson was a young woman of faith who could never quite wrap her mind around the fundamentalist aspects of her religion. Thanks to her older brother Jacob, she managed to survive adolescence unmarried, even enrolling in classes at the University of Utah. Eliza always suspected God had more in store for her than just to be some man’s third or fourth wife; nonetheless, she is surprised when Allison Caliari seeks her out for help. Allison’s daughter Madeline has been recruited by a doomsday cult led by a cruel man known only as the Disciple, and she wants Eliza’s help to get the girl back. One of the few leads Allison can offer is a fateful one: Jacob and Eliza’s brother David, a “lost boy” shunned by the church. Eliza sets out to convince David to help her infiltrate the cult, and she ventures to an abandoned dumping ground in the Las Vegas desert to rescue Madeline. 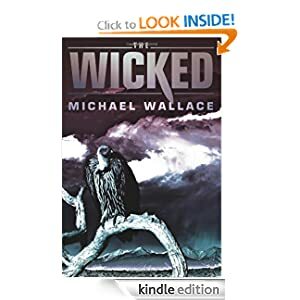 The third installment of Michael Wallace’s enthralling Righteous series, The Wicked tears off the veil of religious fanaticism as seen through the eyes of an extraordinary heroine. Michael Wallace was born in California and raised in a small religious community in Utah, eventually heading east to live in New England. An experienced world traveler, he has trekked through the Andes, ventured into the Sahara on a camel, and traveled through Thailand by elephant. In addition to working as a literary agent and innkeeper, he previously worked as a software engineer for a Department of Defense contractor, programming simulators for nuclear submarines. The Righteous Series will continue from Thomas & Mercer in Fall 2012. Moola Platinum Edition balances all your checkbooks and creates a balance between the accuracy of paper checkbooks and the convenience of online banking. Stop overdrafting. Know the true balances of your bank accounts in real time with Moola Platinum Edition. Everyone could download this application for Android device (Kindle Fire or any other) for free today only. Do you really love online banking, so much that you’ve neglected keeping your paper checkbook up to date? Do you wish there was an electronic means of keeping your checking accounts balanced with accurate, up-to-the minute information? A quick contact with Green Dot customer service deparment will save you some time. 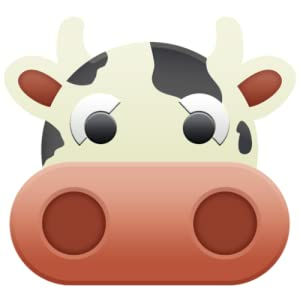 Moola Personal Finance’s special features make money management easy. The app auto-fills a previous payee and category. It tracks and reminds you of recurring bills or transactions. It charts spending trends. It imports, exports, and backs up data. There’s even a widget for easy access. Remember, credit and debit card purchases often take days to post to your account, and if you live on a tight budget you run great risk of overdrafting, especially if you maintain a budget according to the bank’s report of your current balance. Don’t download data from your bank–keep track of your transactions yourself, know exactly what you’ve got, and do it the easy way with Moola. This entry was posted in Kindle Applications, Kindle Apps, Kindle Books, Kindle Daily Deal and tagged Michael Wallace, Moola Personal Finance by Paul. Bookmark the permalink.